Click here for my build with a couple of modifications. Covered with Profilm, trying to get the blue / white as per original. 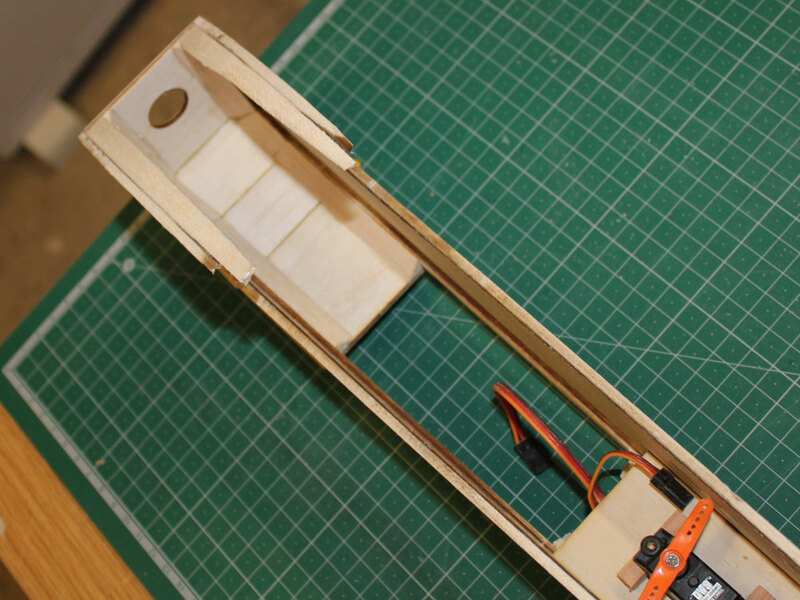 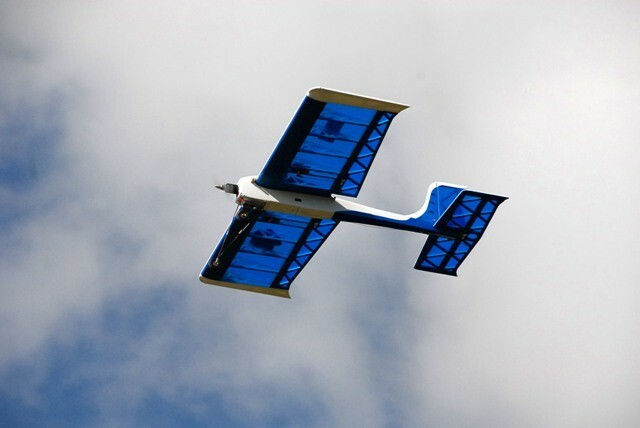 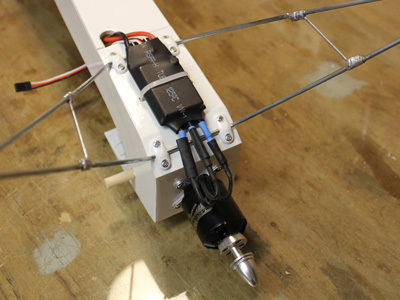 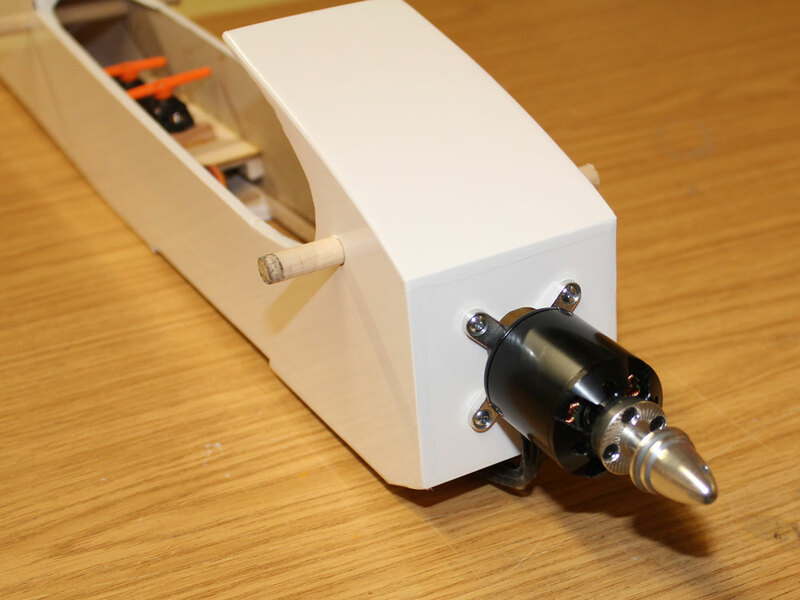 Installation, of wing servos and motor / ESC. 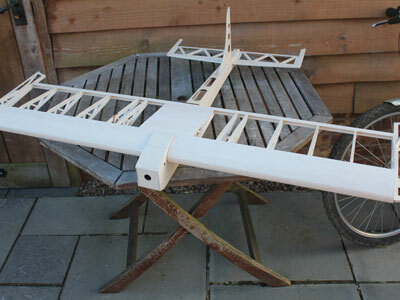 Model built complete ready for covering. You are told to cut 20mm off each 100mm wide length of sheeting to make up the TE sheet, then use the remaining 80mm for the front. 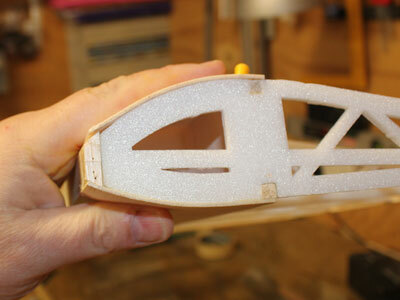 The bottom fitted OK, but because of the radius the top comes up short. 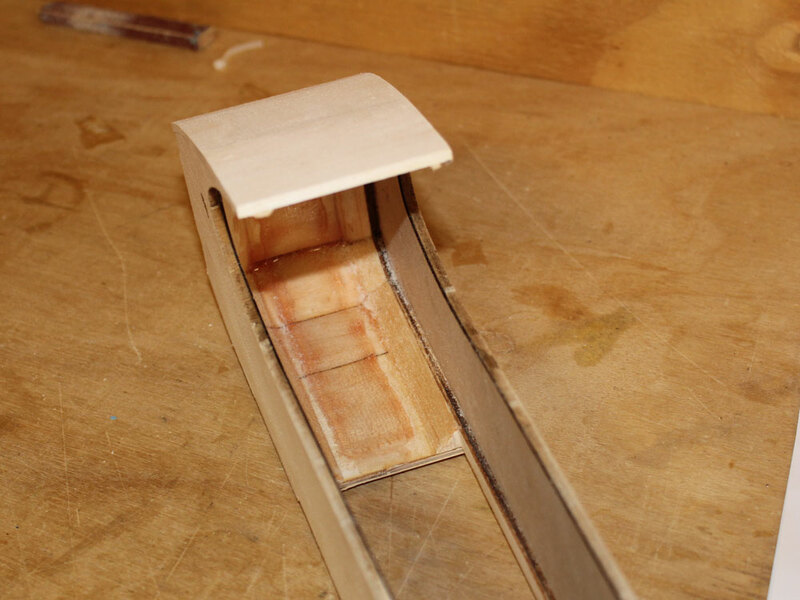 Now this is probably OK as the LE is to be shaped, but I'd rather have the wood in place and plane / sand it away than be left with a ridge, so I glued a 6mm strip to make the top sheeting a tad wider. 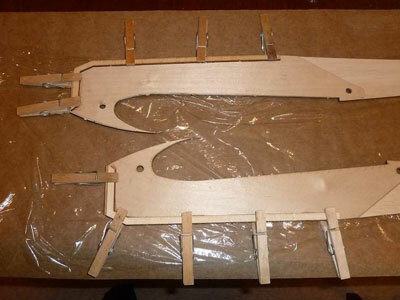 UPDATE: Gavin the designer has been intouch to say that the top sheetng should start halfway across the top spar, and will be ammending the instructions to make this clearer. 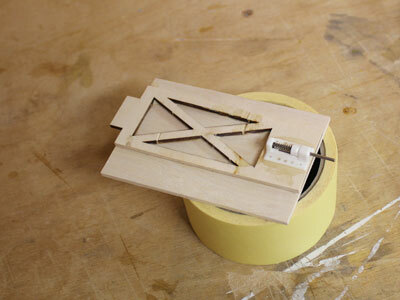 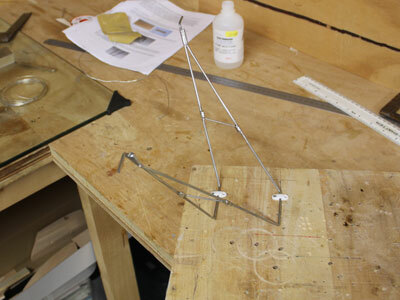 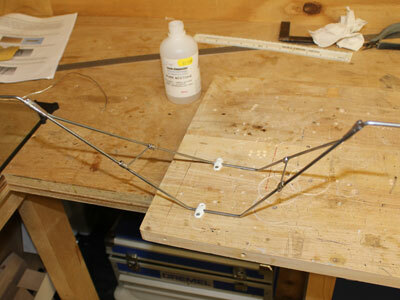 Undercarriage clampped into position, bound with tinned copper wire (not in kit) and soft soldered. Make sure you clean everything first. 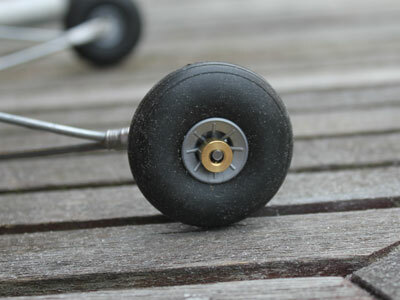 The supplied wheel collets were the wrong size, these will have to be replaced. Webs, TE sheeting and LE added. Ribs are made from depron, not seen this before, but a great idea, and built flat (I use a thick shower door), can't use pins in the glass, but it's flat. Even when building for other people I build as if it were my own model. 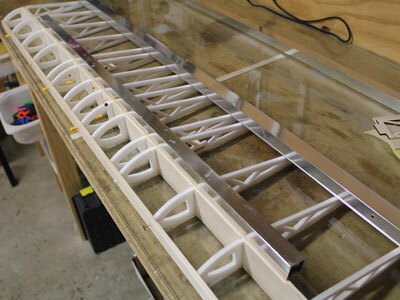 Added a piece of glass reinforcement on the undercarriage mount and F1. 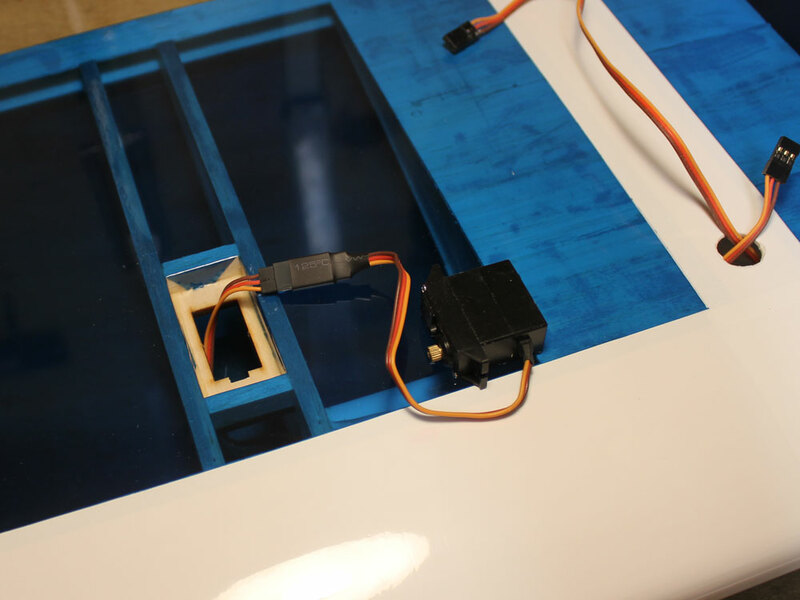 Battery hatch assembly, oversize for final shaping when fitted. 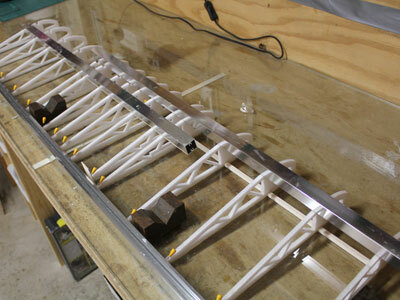 Fuselage assembly, no need for a jig. 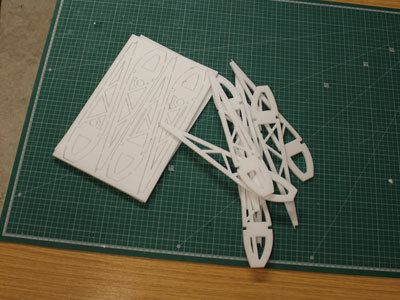 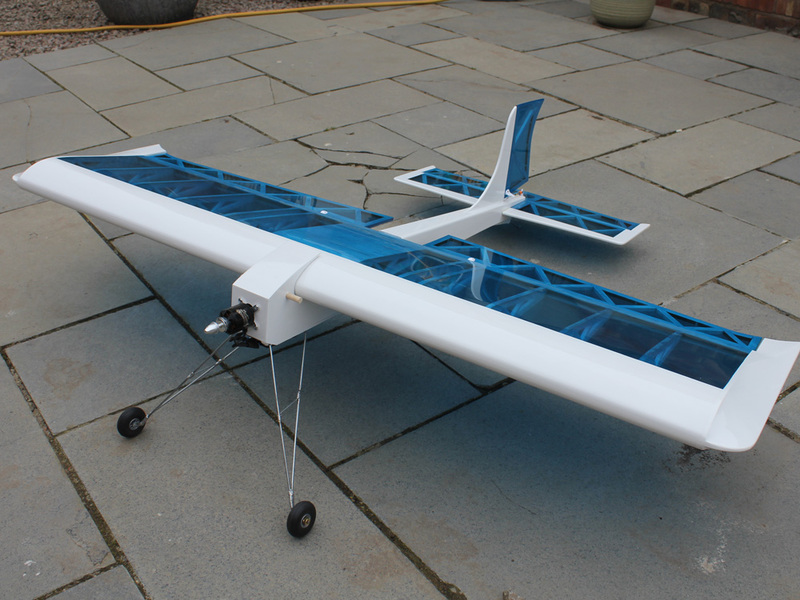 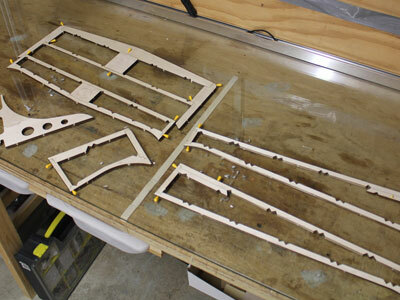 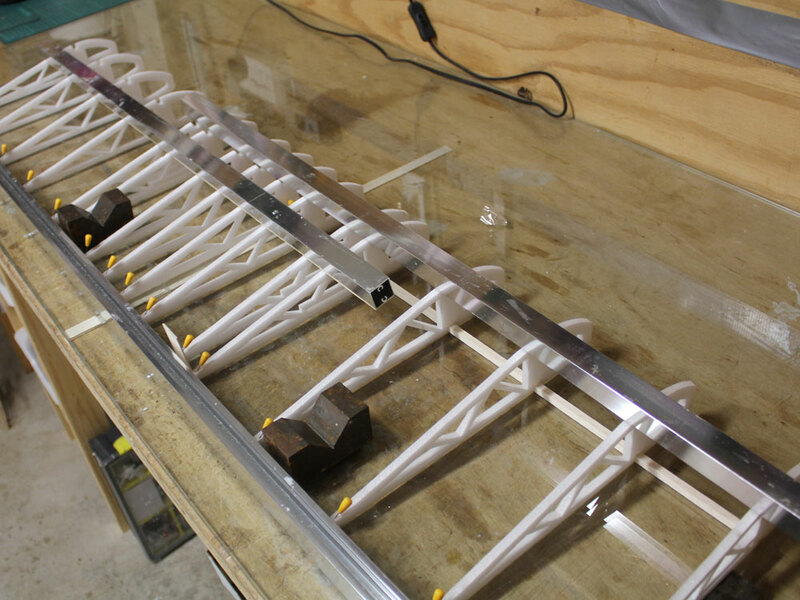 Pushed out & cleaned up the laser cut parts for ailerons, & tail. 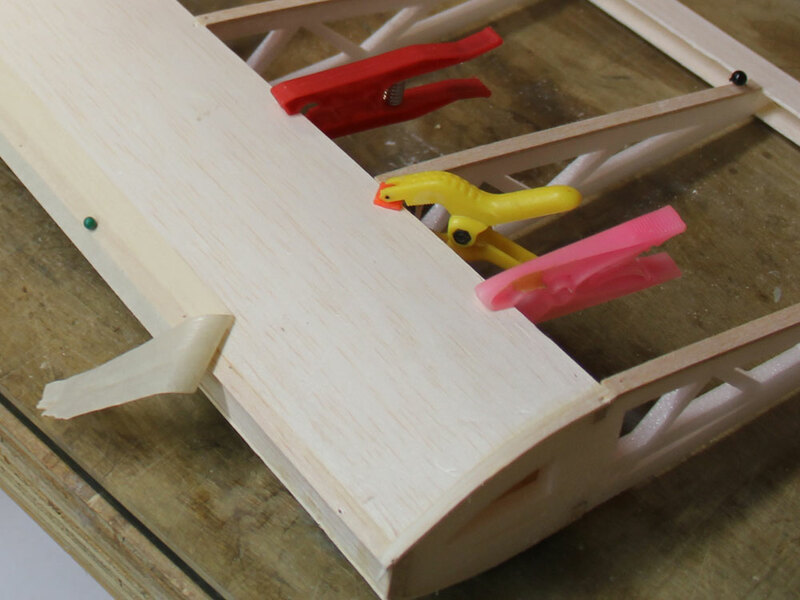 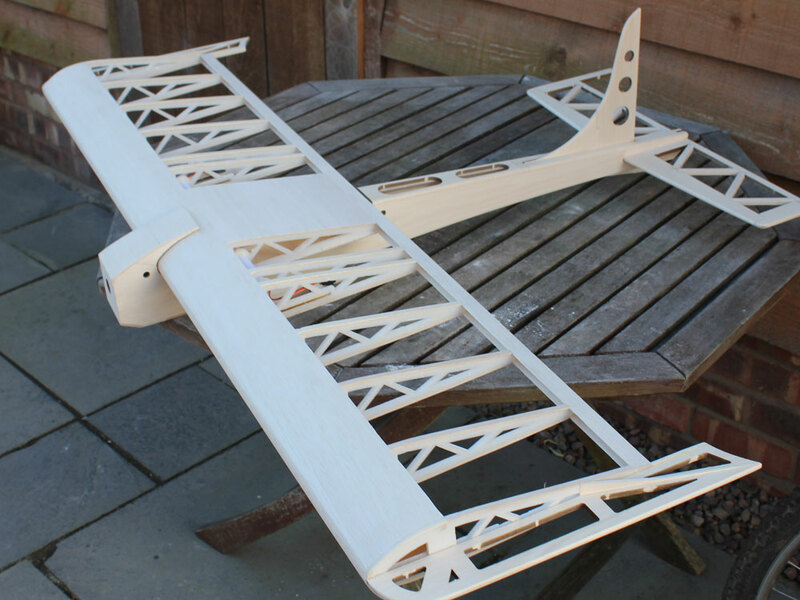 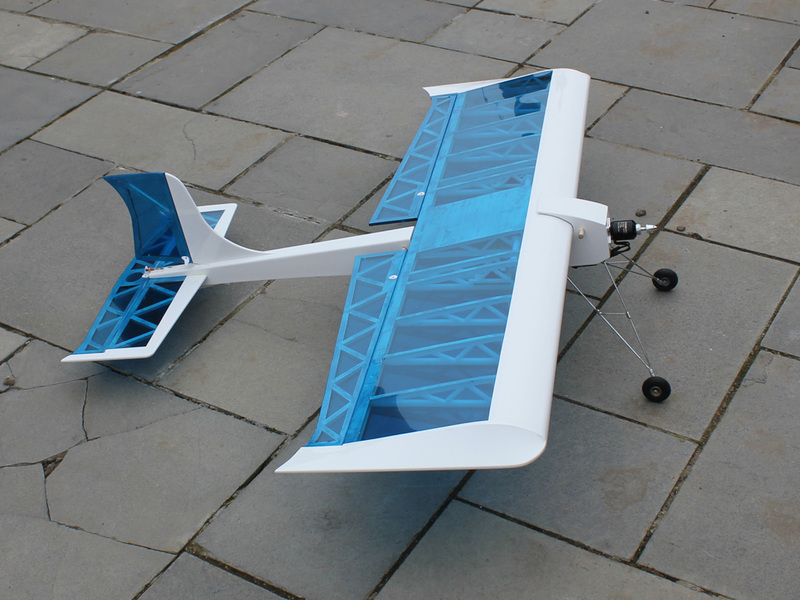 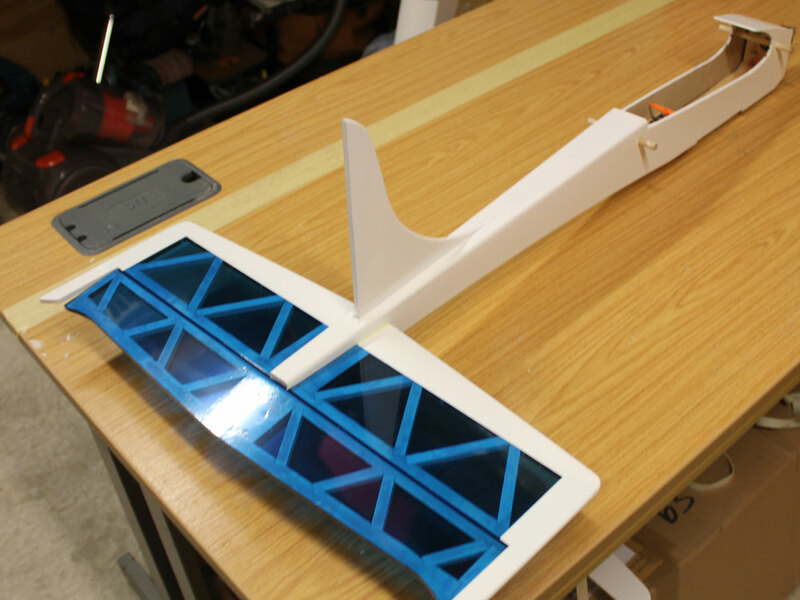 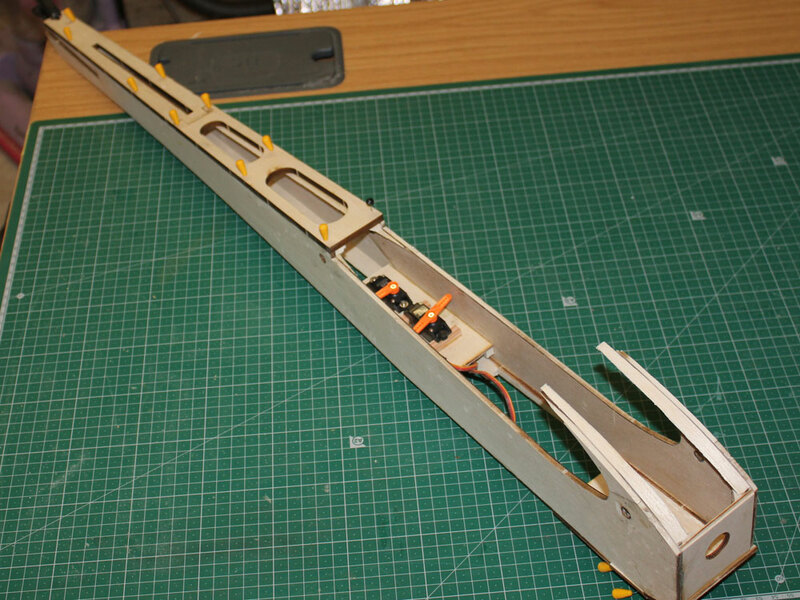 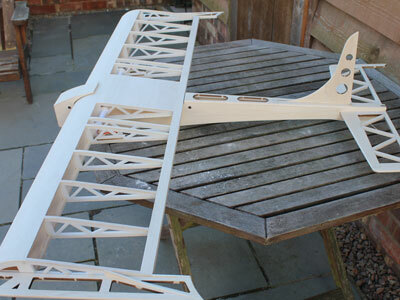 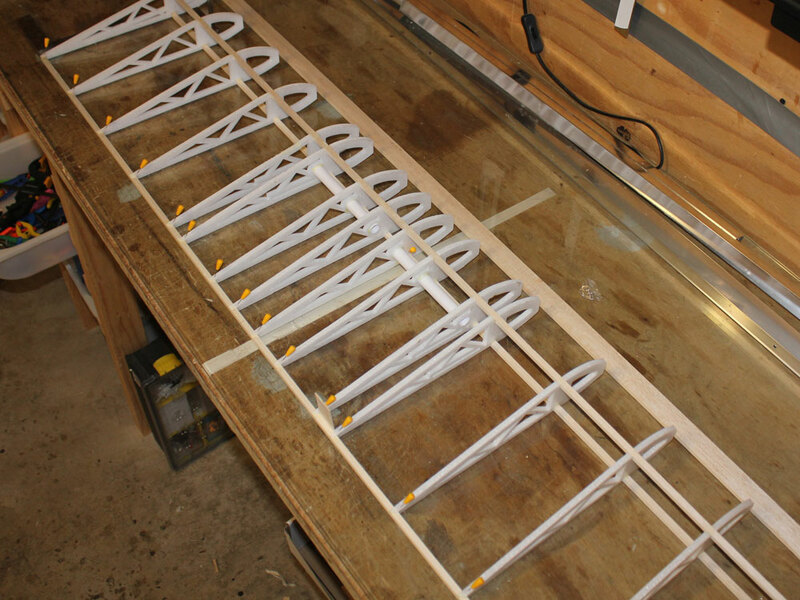 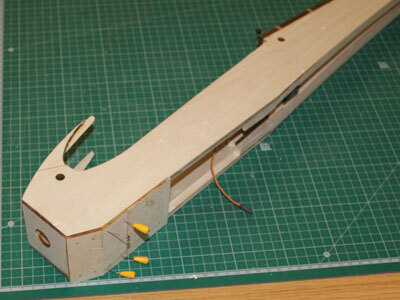 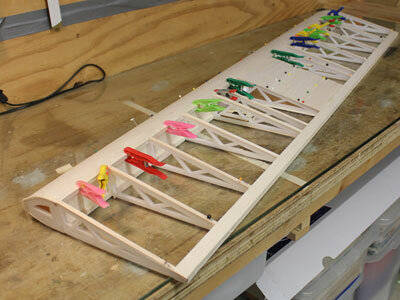 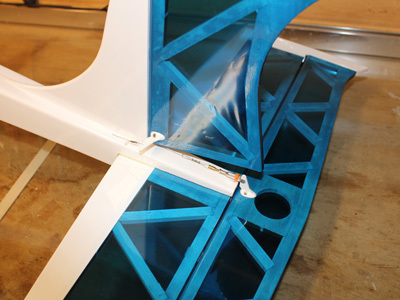 The Tailplane/Elevator and fin/rudder were glued into assemblies to aid sanding and final shaping (not that there is much required). 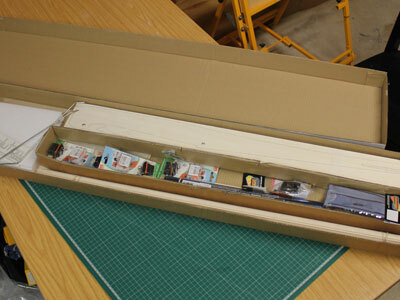 I just love a new in box kit ready to start, this one come with everything ready to go. 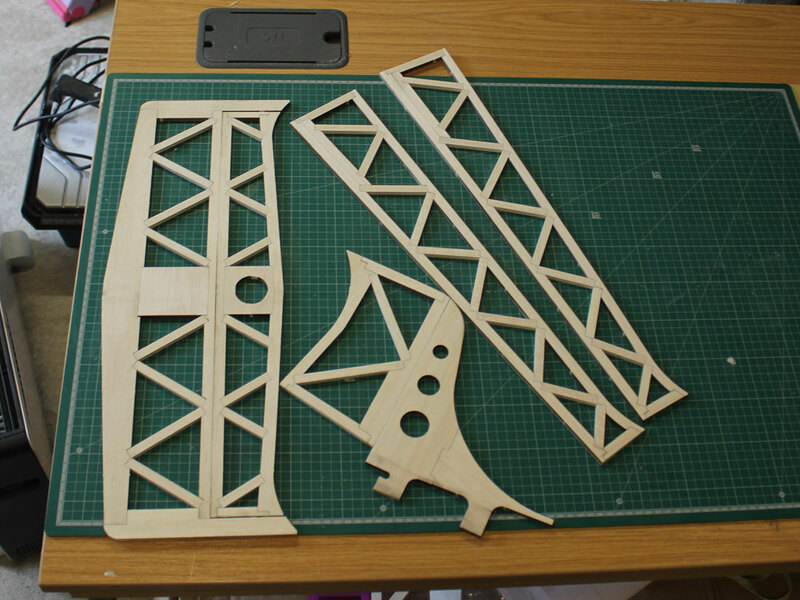 So lets go!